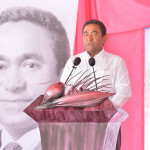 President Abdulla Yameen conceded Wednesday the need for reforming the Maldivian judiciary and renewed appeals for the main opposition Maldivian Democratic Party to engage in dialogue with the government to resolve a year-long political crisis. President Abdulla Yameen conceded Wednesday the need for reforming the Maldivian judiciary, and renewed an appeal for the main opposition Maldivian Democratic Party to engage in dialogue with the government. 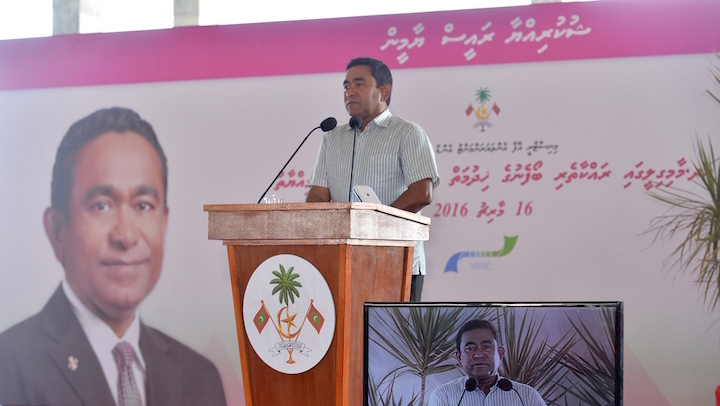 Speaking at a ceremony to inaugurate clean drinking water services on the island of Maamigili in Alif Dhaal atoll, Yameen maintained that he has not attempted to influence the outcome of any trial since assuming office in November 2013. Yameen’s remarks come amidst mounting international pressure on the government to release jailed politicians, including former President Mohamed Nasheed, ex-Defence Minister Mohamed Nazim, and Adhaalath Party leader Sheikh Imran Abdulla. The three were jailed in “grossly unfair trials,” Amnesty International has said. Yameen had invited political parties for talks last month. 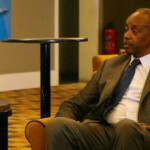 But he has sent mixed signals so far, urging the opposition to join talks and advise him on reconciliation, even while defending lengthy sentences handed to his opponents. 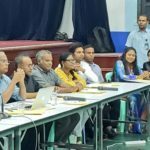 The main opposition Maldivian Democratic Party and its ally, the religious conservative Adhaalath Party, are demanding the release of their respective leaders as a condition to join the all-party talks. Yameen continued to insisted that no one had been arrested or imprisoned unjustly during his tenure. “This government has not abused the human rights or dignity of anyone,” he said. 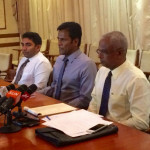 He then renewed appeals for the MDP to accept the government’s invitation for talks. The party should engage in dialogue before questioning the government’s sincerity, he said. It is not sensible for the opposition to impose as conditions “all the problems that need to be resolved”. The government has not demanded that the opposition end street protests as a condition for the talks, he continued. “We said without any conditions that we believe that you have problems,” he said, adding that dialogue and compromise are necessary to achieve peace and stability. He did not specify details of measures needed for judicial reform. Meanwhile, the High Court on Tuesday upheld Nazim’s conviction on weapons smuggling charge, a move the opposition said indicated that the government was not sincere in initiating talks. 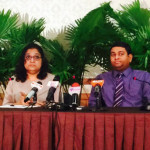 Yameen has repeatedly insisted that the president cannot intervene in “independent” judicial process. The Commonwealth is set to discuss action against the Maldives in April. The government’s progress in initiating inclusive talks will be a key factor during the review.